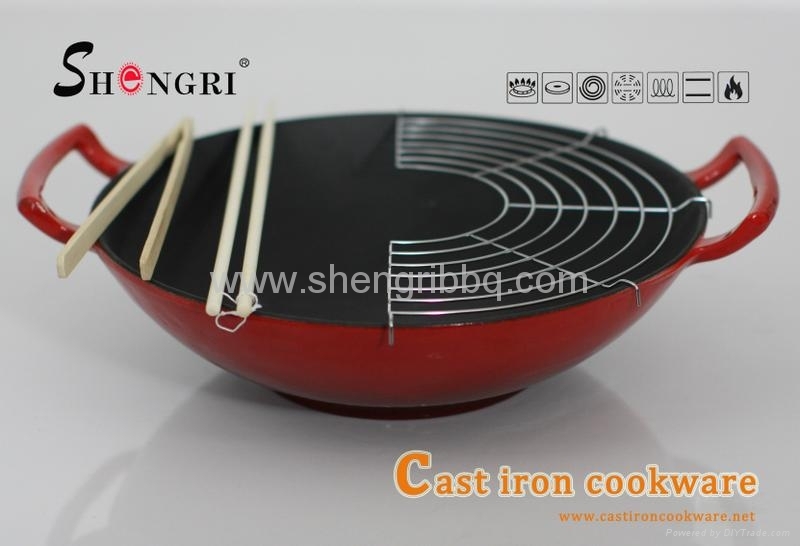 1.Rugged cast iron material heats slowly and evenly. 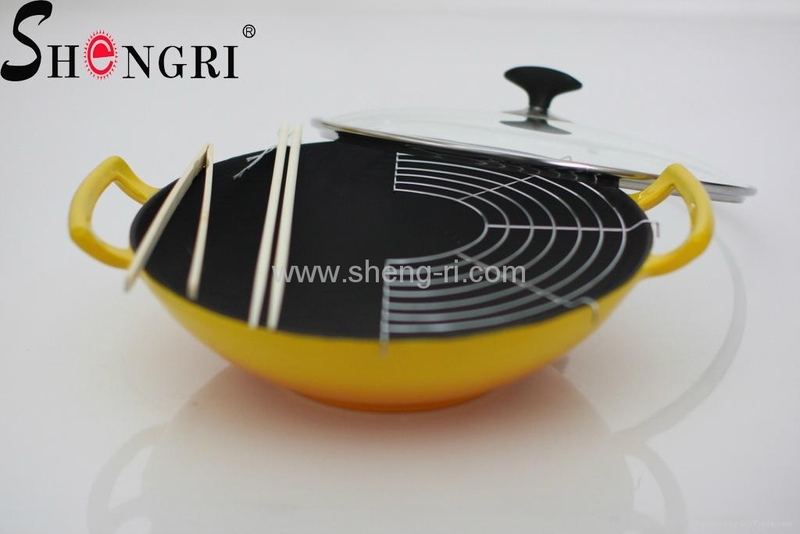 2.Durable black matte enamel interior doesn't need seasoning. 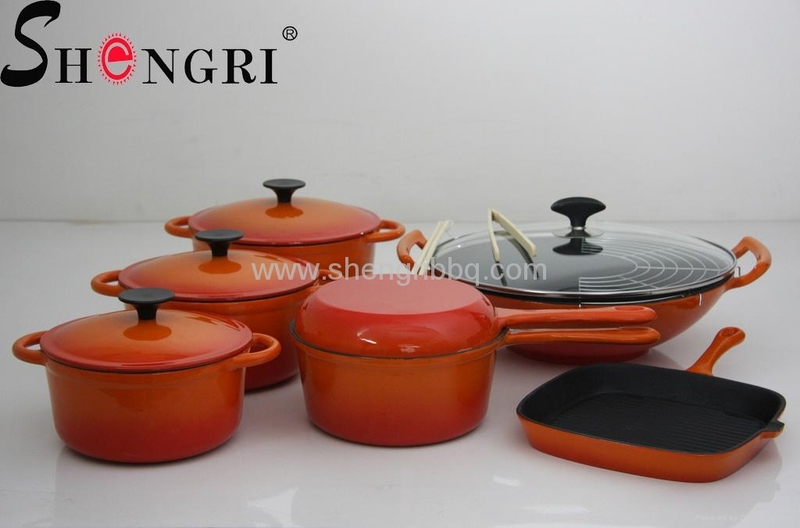 3.Rich colors of enamel exterior complement kitchen decor. 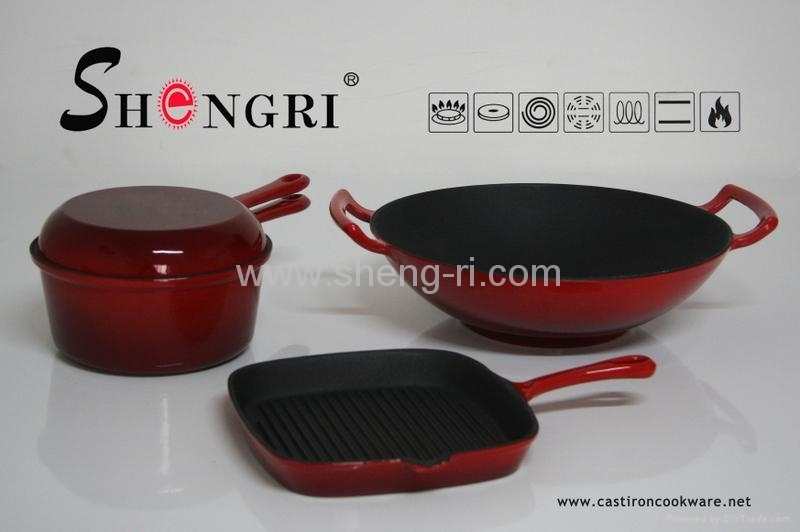 4.Sturdy integral cast-iron handles, Break-resistant glass lid with bakelite knob, and stainless-steel rack.